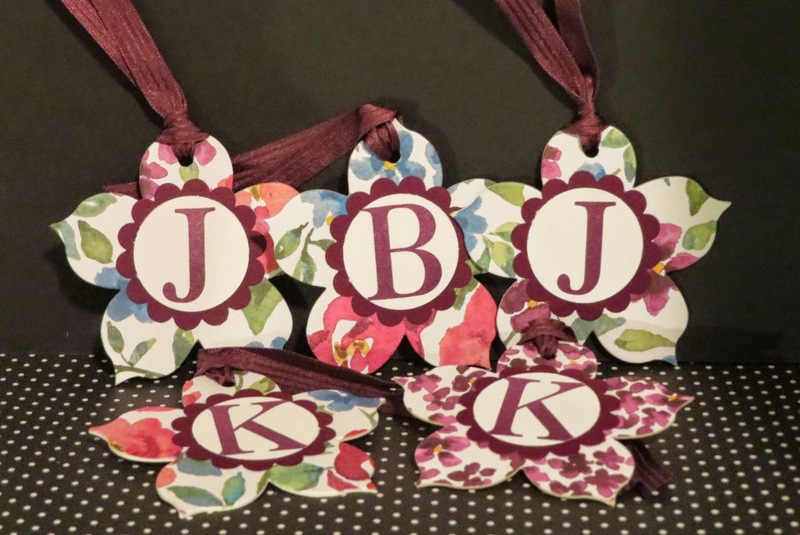 Karina's Kreations: Painted Blooms Bag Tags! Have you ever wanted to make your own luggage tags? I made these cute tags for our Leadership bags. Attach some Painted Blooms Designer Series Paper to Coster Board using the Stampin' Glue Sticks. Lay it over the Flower Frenzy Bigz L Die. Punch a hole in the top of the tag with the 1/4" handheld circle punch. Add Blackberry Bliss ribbon to the tag. The letter are from the Sophisticated Serifs stamp set #137161 $55.95. I hope you try to make one.